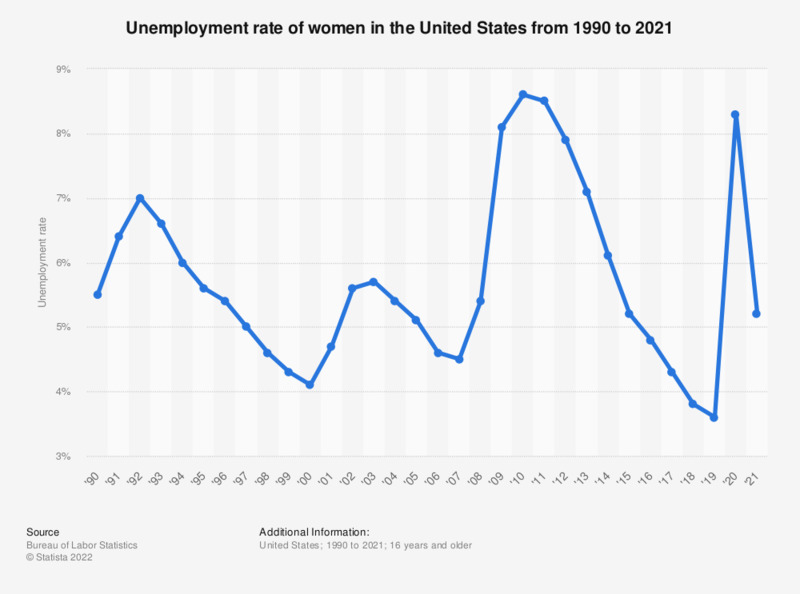 This statistic displays the unemployment rate of women in the United States from 1990 to 2018. Unemployment among the female labor force decreased from 8.6 percent in 2010 to 3.8 percent in 2018. Everything On "Women in the U.S." in One Document: Edited and Divided into Handy Chapters. Including Detailed References. Were you able to achieve your New Year's resolutions in 2015?